My favorite is Amy Winehouse! RIP..
You obv look fab in all of these!! Wow! 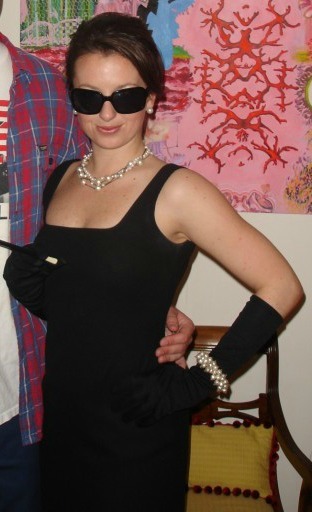 You were an awesome Amy Winehouse. You should recycle those tattoos and that wig and do a good Kat Von D too I bet! WOAH - the Amy Winehouse year was definitely my favorite. 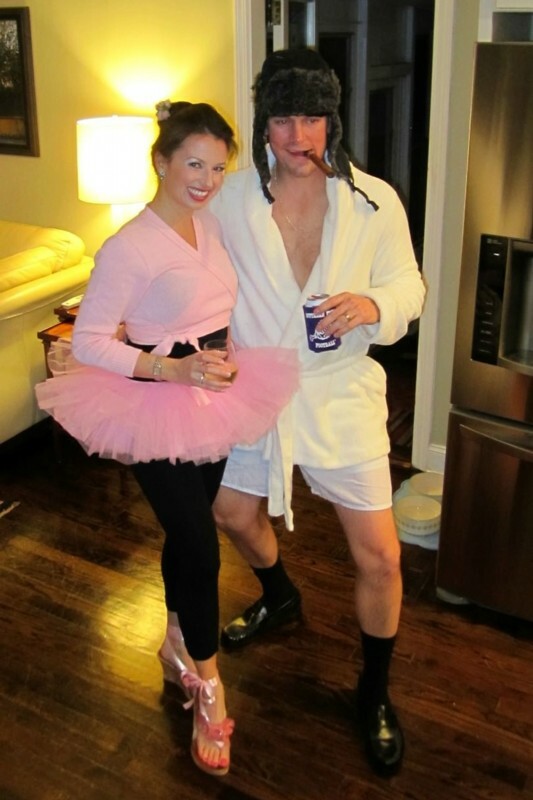 And I love Ian's Uncle Eddie costume. You two are hilarious. 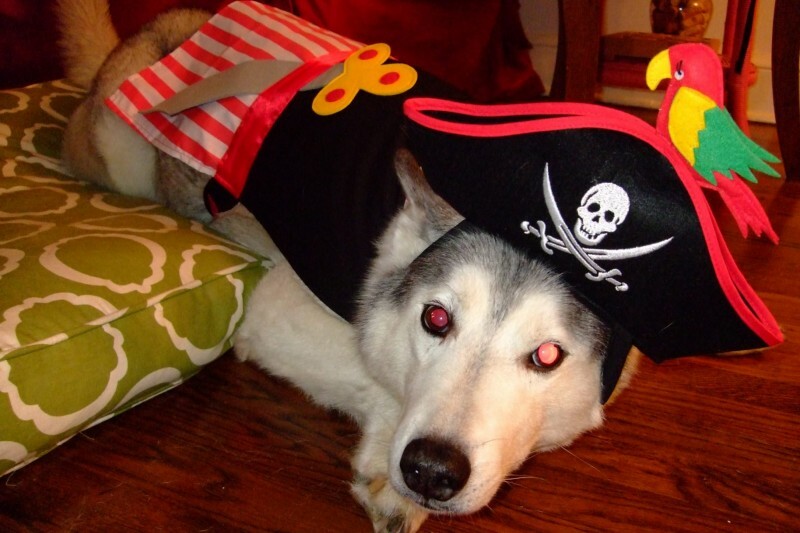 And you totally nailed that costume. So freaking funny! 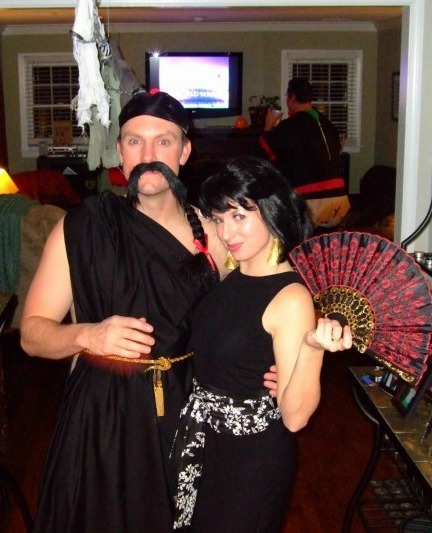 You and Ian have great costumes! I'm going to tell my husband about the Cousin Eddie idea for next year! I think you have gotten your money's worth out of the black wig! Can you send it to me so I can borrow it tomorrow? I'm sure I can come up with a way to use it between now and then. ;) Love the Cleopatra outfit! Te ballerina is so cute! I tried to do that one year and couldn't figure out how to pull it off. I am however not that creative! Bwahahahaha I had that exact same jean skirt and I LOVED it. You are so fun! You are so awesome!! 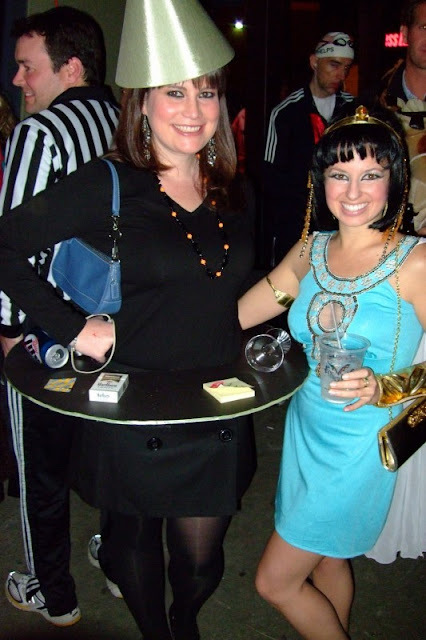 Great costumes over the years! I haven't dressed up in so long. Can't wait to see what you do this year! 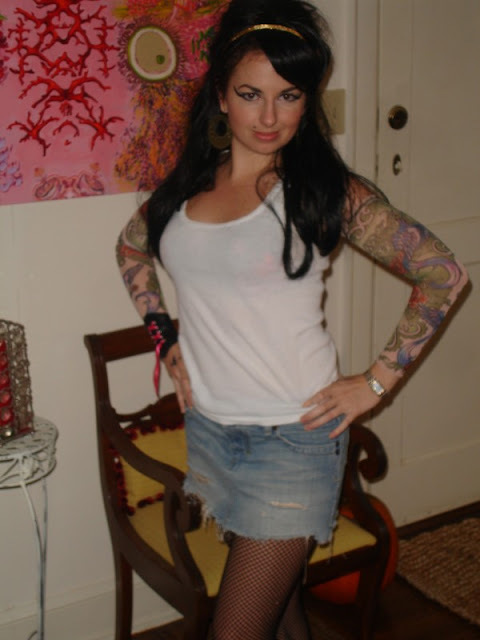 I think the Amy Winehouse was my favorite - those faux tat sleeves! So great! Wow!! I like every look of yours!! Wonderful!